Easy and quick filling dinner. 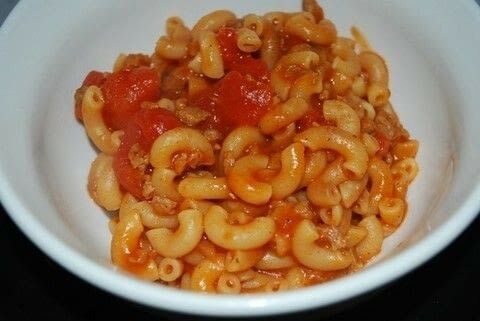 This is a dish my mom used to make frequently when I was growing up. I have changed it to make it less fattening and more healthy. The addition of whole wheat elbow macaroni and Vegan Boca crumbles make this dish filling and comforting without the guilt. This is enough to serve 4. 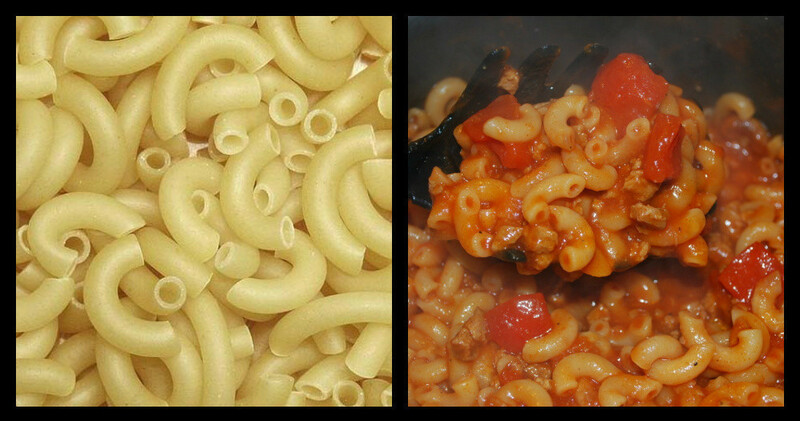 It also tastes just as good as leftovers. 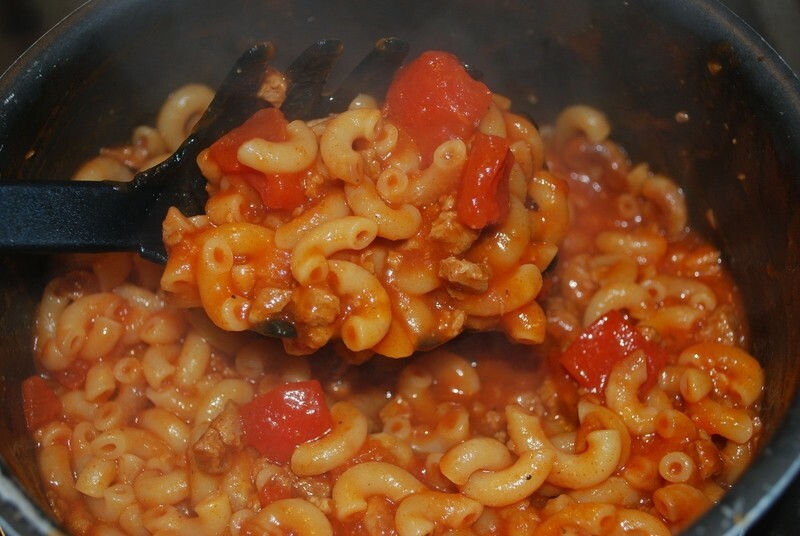 Add can of tomato sauce and the chopped tomato, Fill the empty tomato sauce can 3/4 with water and add to pot. 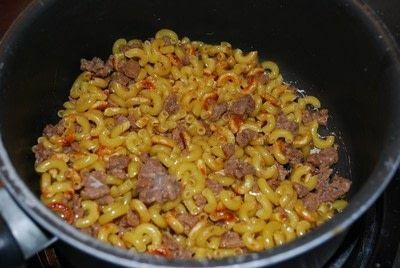 We make this at our house but we call it Bachelor Chow and add A1 steak sauce. Boca crumbles are a vegan alternative to ground meat. 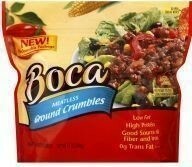 If you can not find Boca crumbles but would like a vegetarian meal Morningstar also offers faux ground meat. If you are a carnivore I suggest lean ground beef. Looks really tasty, but, what are Boca crumbles?